(Bright Blue) Destroyer was an environmental installation located on the main Art Center campus in Pasadena, CA. 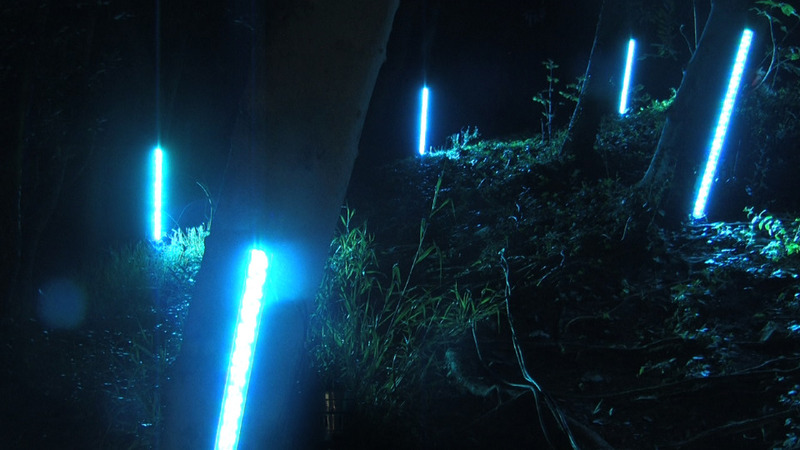 I have always been fascinated with the juxtaposition of digital and organic elements, and here the result is one of surreal, expansive beauty as the natural space is transformed via syncopated light and sound. I wrote the audio track and programmed the array simultaneously, to better respond to the experience as a whole and make adjustments as new or unexpected details revealed themselves through the process. 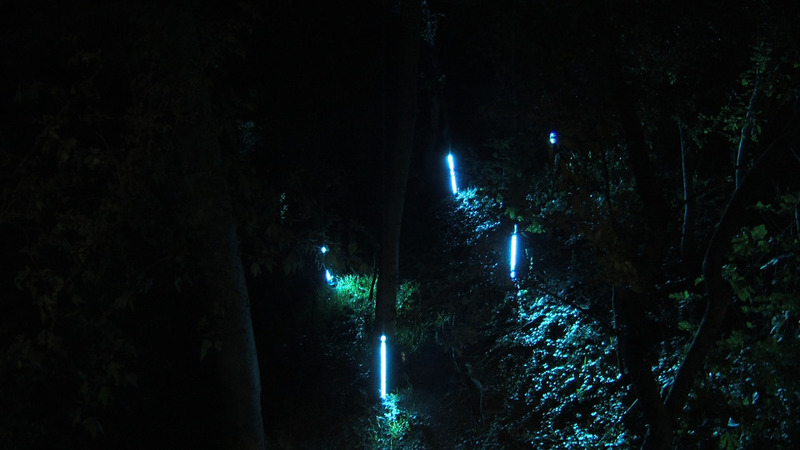 The array featured 10 LED lights, while audio was broadcast through a four channel sound system, hidden throughout the ravine.